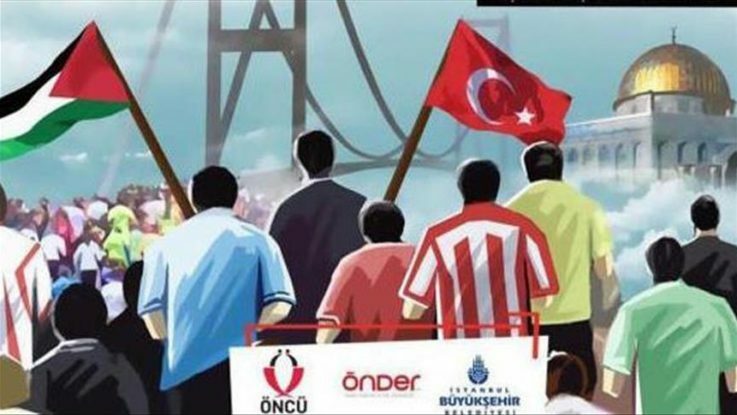 A public run will be held on Sunday in Istanbul to raise awareness about the Jerusalem issue. The Palestinian territories have remained tense since early last month, when U.S. President Donald Trump recognized the contested city as Israel’s capital, drawing widespread condemnation from across the Arab and Muslim world. A number of protests have been held since then around the world against the decision on the status of Jerusalem. The head of the Istanbul-based Oncu Youth and Sports Club, which organized the run, said Saturday that Jerusalem had always been a top priority for them. “We will never forget the cruelties committed in our sacred places [in Jerusalem] or allow them to be forgotten,” Mustafa Canbey said in a statement. He called on all Jerusalem-lovers to participate in the run, which is also supported by the Metropolitan Municipality and Uskudar district municipality. The run will start in Cengelkoy district of the city’s Asian side at 10.30 a.m. local time (0730GMT) and will finish at the 15 July Martyrs Bridge. Known for his songs on Jerusalem, Omer Karaoglu will also attend the event. Around 10,000 participants are expected to take part in the run, and receive souvenir medals, while 10 lucky winners of a draw will get a chance to visit Jerusalem.